As someone who has been wearing glasses since the age of 10, I've always taken to understanding that I won't have perfect vision unless I went on for something drastic like laser treatments for my short sightedness and astigmatism. But what happens to people who don't even have the option of these treatments and their world is just a dark place...forever? 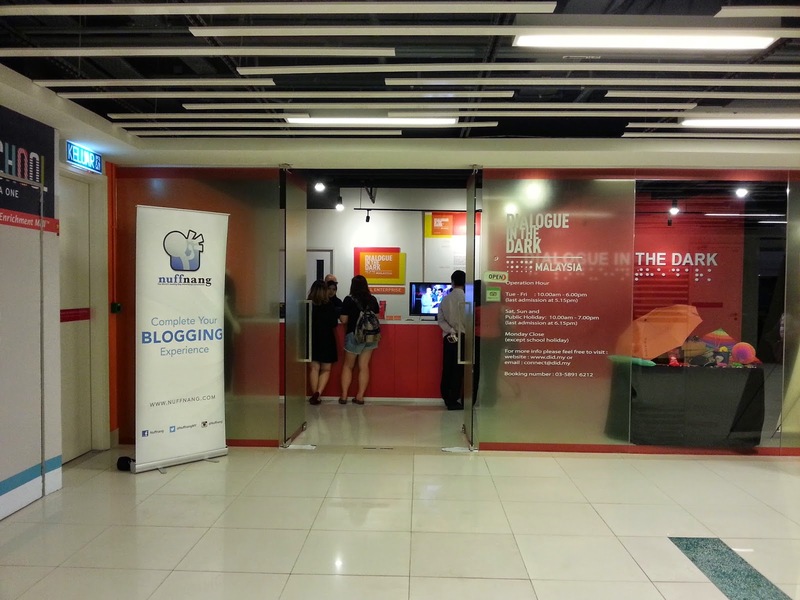 I first encountered Dialogue In The Dark when I was back in Jaya One during the Markets fair in August but was pressed for time to experience it then somehow never gave it another thought until ChurpChurp came up with the #ChurpOutInTheDark event. This time, I thought for sure that I just HAD to be there and be there I did on Friday! And I brought my mother along! 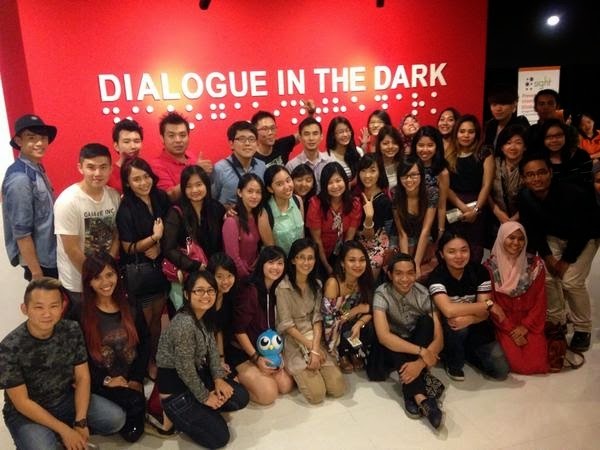 For those who don't know, Dialogue In The Dark has been around Malaysia for about 2 years now and has been founded by Mr. Stevens Chan, a corporate professional and active businessman until the year 2007 when he lost his sight to Glaucoma. 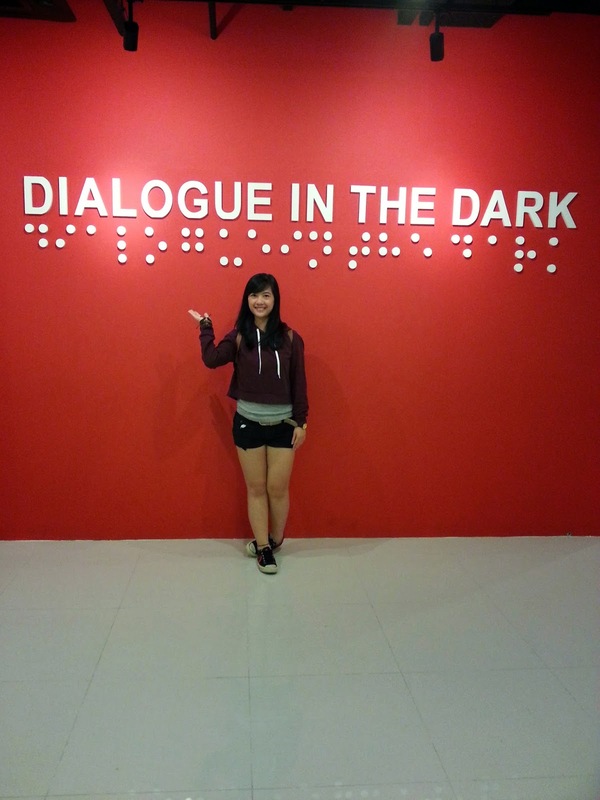 The idea of Dialogue In The Dark or DID as it is commonly called is to bring awareness to those with sight on how it's like to live in the dark or to blend into everyday living. 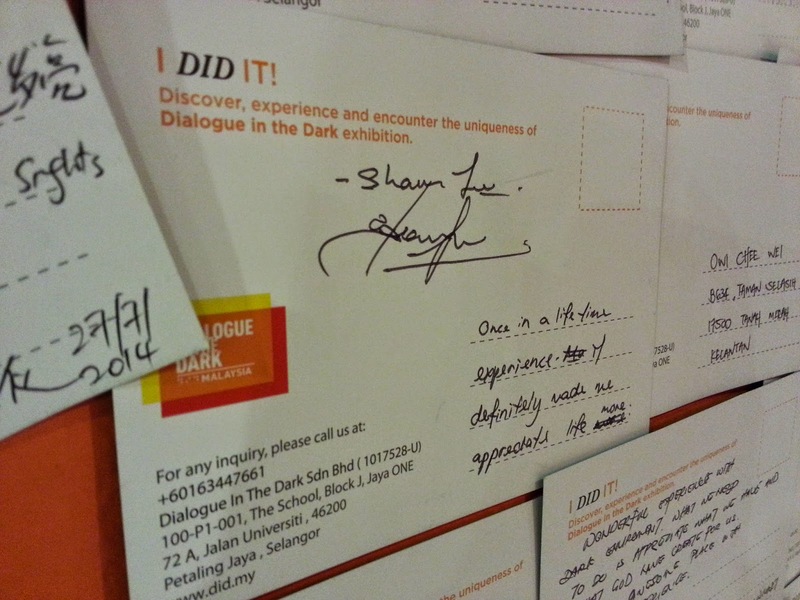 Welcome to Dialogue In The Dark. 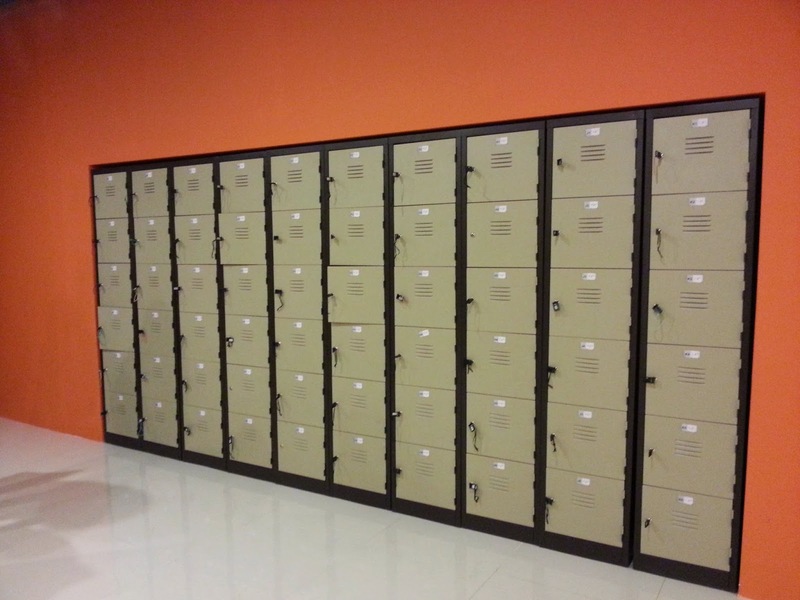 Lockers to store your belongings safely. And the words of those who has experienced DID for themselves. For a wholesome time in the experience centre of DID, anything that would light up was no allowed so that meant no phones, no cameras and even to the extent that no digital watches that had light would be allowed. Each tour lasts between 45 minutes to an hour and it's performed in pitch black darkness so you actually get to feel what it's like to be...blind per say. All you have is faith to your guide and a walking stick to move around without hitting the walls or anything inside. Because this was a #ChurpOutInTheDark event (And also #NNDialogueInTheDark), the lot of us were split into groups of 10 and we followed a kind lady called Margona to enter the experience centre before we were handed over to another lady called Mimi. 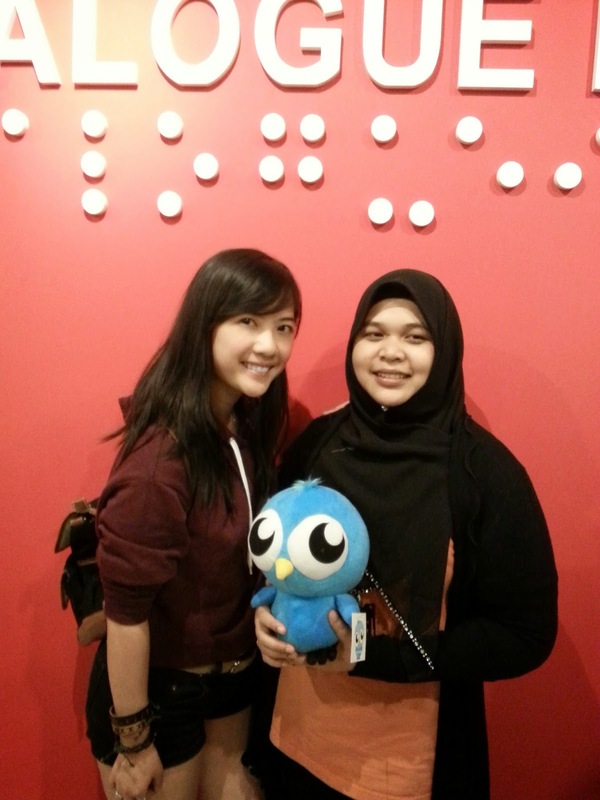 Bear in mind that we couldn't see Mimi at all, all we had was the guidance of her voice and her warm touches on our arms. The theme of our walk was "Cuti-Cuti Malaysia", much done in accordance to Visit Malaysia 2014 and every step took us around the familiar areas of Malaysia without the gift of sight. In fact, let me show you how it was like in the experience centre. The dots are really just lights from the CCTV that kept the guides safe. And I am not kidding. Many would think (Myself included) that the experience centre would have at least allowed us to see our own hands at a close distance as you would when you turn off the lights and stare into your room but in DID, darkness is no joke.  As Mimi took us on our journey around Malaysia, she also guided us into a place where we were served with fantastic food courtesy of Mango Chilli...also in complete darkness. Tasks that we had included writing a poem with each other by passing the paper and pen around with each one only writing ONE word and other things like pouring tea from a flask then having our 4 course meal. Not only was it awkwardly difficult to figure out what was being served, it also posed such difficulty in just finding our seats. The experience took a little less than 3 hours including dinner time and when the lights were turned on, our eyes took so much time to adapt once again to the sheer brightness and that was when we were introduced to our guides. This is the guide for my group, Mimi. 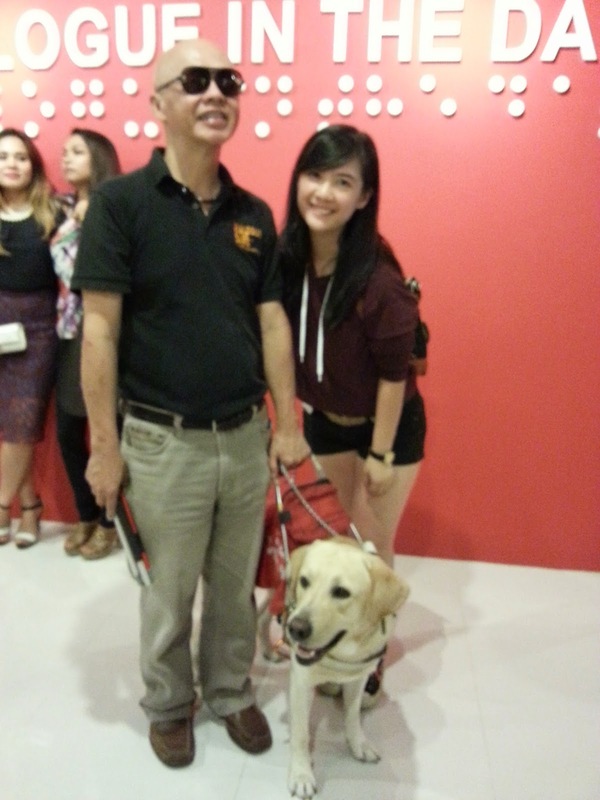 Mimi has been partially blind from the age of 16 yet possesses a diploma in early childhood education and was a kindergarten teacher before coming to DID to work as a guide. Her sight was impaired when a nerve in her eye began to give her problems and it was then when she lived a life with only half the sight she had. At the other end of the room was her twin sister, Shah (I assume such as her name from what I heard) who has the same problem as Mimi and is also partially blind. I cannot imagine what their family has come to face with not just one but two of these beautiful girls losing their sight together. Mr. Stevens and his seeing eye dog with a French name, LaShawn. If you think he's a little familiar, it's because he is the same Mr. Stevens who made headlines on the Malay Mail with LaShawn earlier this year with the article titled, "Man's best friend not loved by everyone." I remember reading the article back when it was widely circulated on social media and malls were scrutinized by the society alike for their lack of compassion but nothing beats the experience of actually trying to maneuver around the experience centre with only a blind stick. Now as I take another glance on the article, I find it so true that those who are visually impaired have so much to go through; from finding things to buy in supermarkets to hailing cabs and attending to nature's call. Bloggers and Churpers alike gather for a photo. The event ended on a high note with everyone coming back to the light and loving the fact that we could see once again. 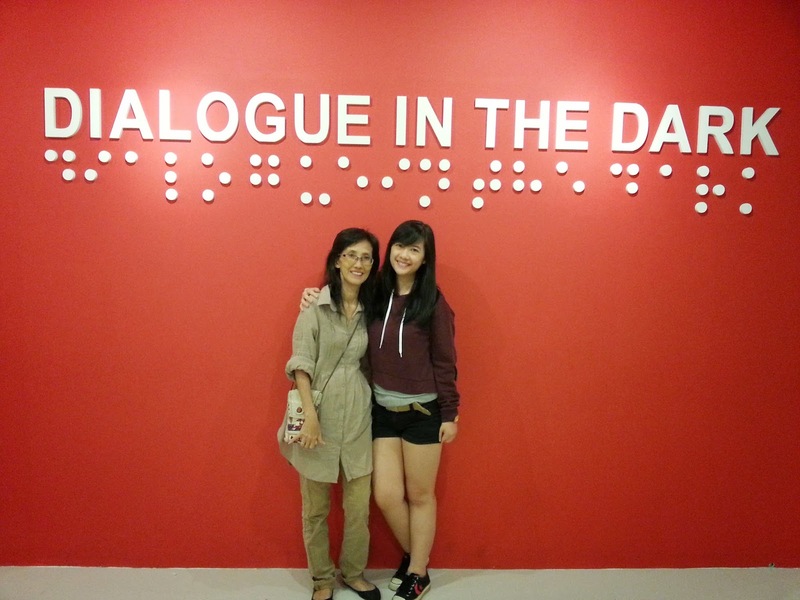 For someone who always goes through momentary blurriness from removing my contact lenses and switching back to my glasses or waking up in the morning to look for these sightly help, Dialogue In The Dark has taught me that my blurry moments were nothing compared to what those who are visually impaired has to go through. So thank you very much, ChurpChurp for this amazing time in learning how important my sight is in life. A great big thank you also extends to Dialogue In The Dark and their guides (Especially Mimi for me!) for having us rowdy and noisy bloggers and churpers over. Suppose everyone had their panicking moments when they saw nothing because it takes time to get used to. It was indeed an eye-mazing night.